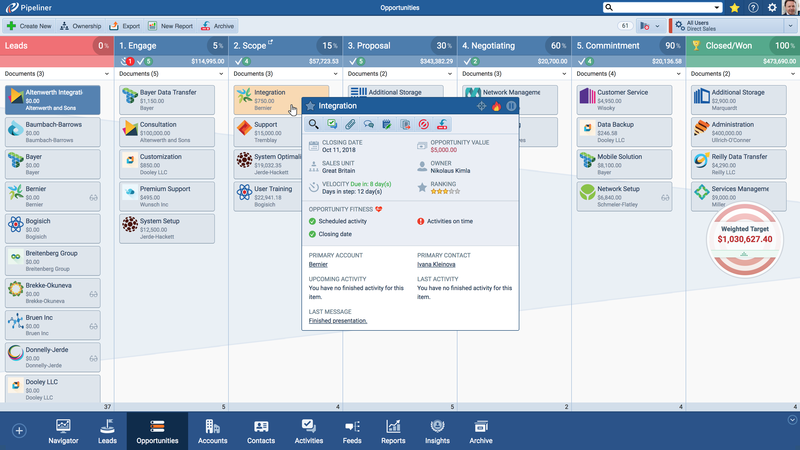 Visual, interactive, and engaging—a new approach to pipeline management that delivers results, FAST. 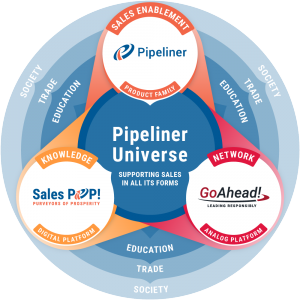 A sales pipeline describes an approach to selling, founded on the underlying principles of the sales process. 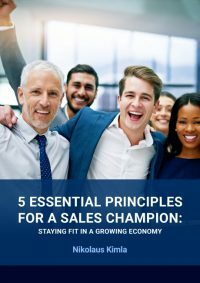 It describes the individual sales stages salespeople take from initial contact with a potential customer, or prospect, to qualifying that prospect into a lead, then further validating that lead into a sales opportunity followed through a company’s unique stages until closed. When developing the sales process into separate pipeline steps, automation must come in on the “ground floor.” At the very least, the IT department (or the CRM application administrator) must be fully advised of the various sales process steps, once they are decided upon and implemented so that these steps can be automated for use. If this is not done, everyone from the sales reps to financial officers will have a very difficult time trying to adapt to automation that is not reflective of current company operations. Whereas if this step is taken, automation is working hand­-in-­glove with current company activity and will only benefit it. 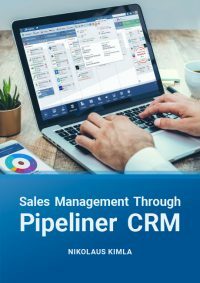 It may be discovered at this juncture that the existing CRM tool is not flexible enough to embrace the pipeline management steps that have been evolved. If this is the case, it is highly advisable to choose another CRM tool that will be flexible enough. While this may require an unexpected outlay of funds, simply trying to customize the existing CRM application will cost the company far more in the future—as intelligent use of the pipeline is further developed—in wasted sales, executive and IT time and resources. 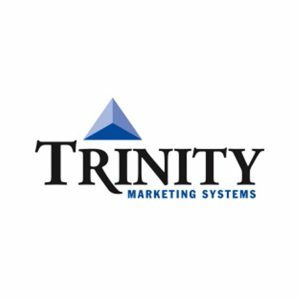 It is the on­-the-­ground sales force that will be making the most important use of a CRM application. Their time is obviously quite valuable—minutes or hours spent not selling cost the company money. That time can be wasted if a salesperson must hunt for needed information, and drastically wasted if that needed information cannot be found because there was no way for it to be input in the first place. Conversely, if automation is properly utilized from the getgo to support sales activity, that needed information will be just a click away. A salesperson will be able to record vital data in its proper place so that it can later be accessed and utilized to push the sale along to a close. Once again, the choice of CRM application is critical. 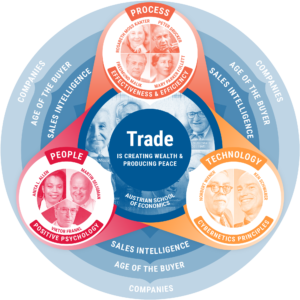 It must be intuitive and easy for sales reps to learn, access and constantly use. It could even be posed as an objective that the application is enjoyable. A prime use of sales automation is analysis by salespeople, sales management and finance executives. A salesperson must be able to quickly examine his or her pipeline and know if they are on­-target, behind the target, or ahead. Sales management must be able to view the pipeline activity of each of their reps, and their department as a whole, and accurately know where they stand. Senior and finance executives must be able to forecast sales for the next month, year and years, and know their forecasts are as realistic as possible. It can be stated flatly that none of these important functions are possible if automation isn’t fully supporting pipeline management. 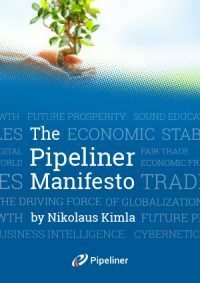 Whereas if pipeline management is accurately represented by automation, analyses and forecasts will be highly useful and result in further company expansion and profit. In addition to mirroring the pipeline, the CRM tool chosen must also allow intuitive and easy creation of these analyses and reports. This again comes back to the choice of CRM tool; flexible analysis and reporting functions must be a priority in the choice of CRM. 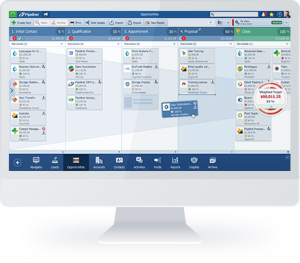 With automation given its proper priority in relation to sales pipeline management, management truly becomes opportunity management.